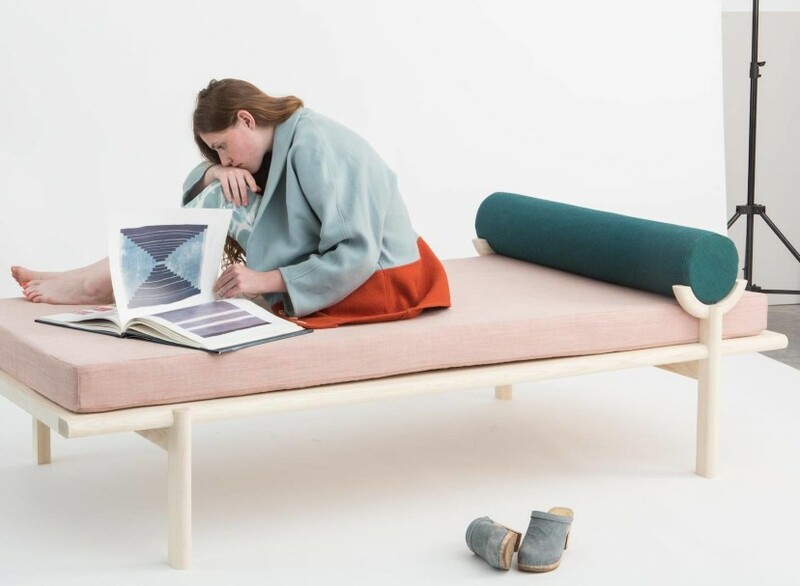 For almost four years, Katrina Vonnegut and Brian Kraft have been fabricating designs in an ever-expanding variety of materials with a focus on furniture that recently culminated in the triumphantly gorgeous daybed they exhibited at The International Contemporary Furniture Fair earlier this year. 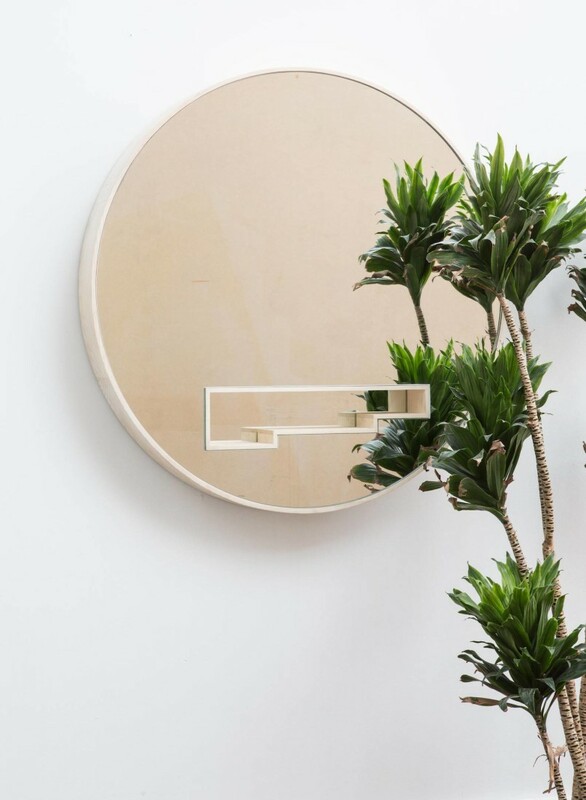 The duo help pay the rent by hiring out their expert craftsmanship for custom cabinetry jobs and any other high-end design carpentry and work needed in the world of Manhattan townhouse renovations. While this has given them insight into the quaint world of old New York, their primary focus and — of course — passion is their own designs. Brian and Katrina continually master new materials as their aesthetic evolves. The stylish glass lamp that accompanied the daybed in the ICFF exhibition is both expertly crafted and the result of the team’s first time working with glass. 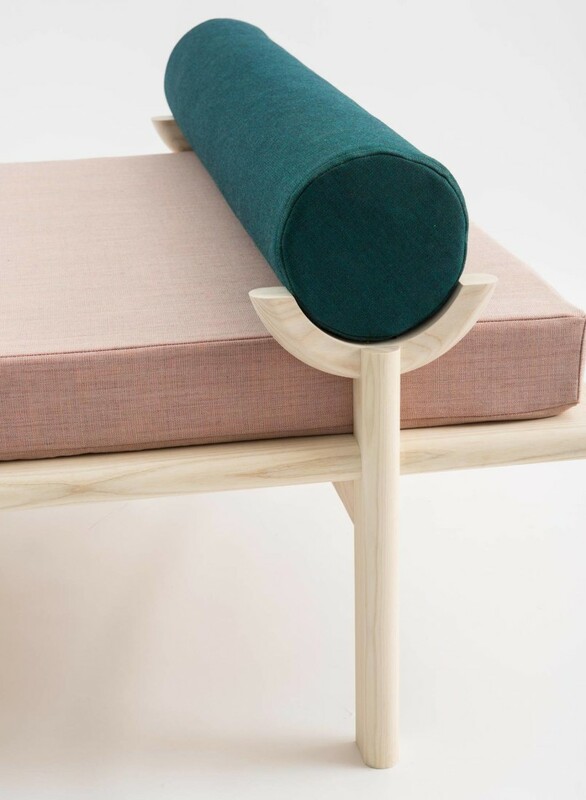 The wooden daybed is done in a Danish soap finish. Their next design concept for modular shelves involves both metal and wood finished with a metallic treatment, a synthesis of materials that reflects the Vonnegut/Kraft spirit of experimentation and evolution. We work a lot better when we’re a little bit isolated and have the space to explore things on our own. 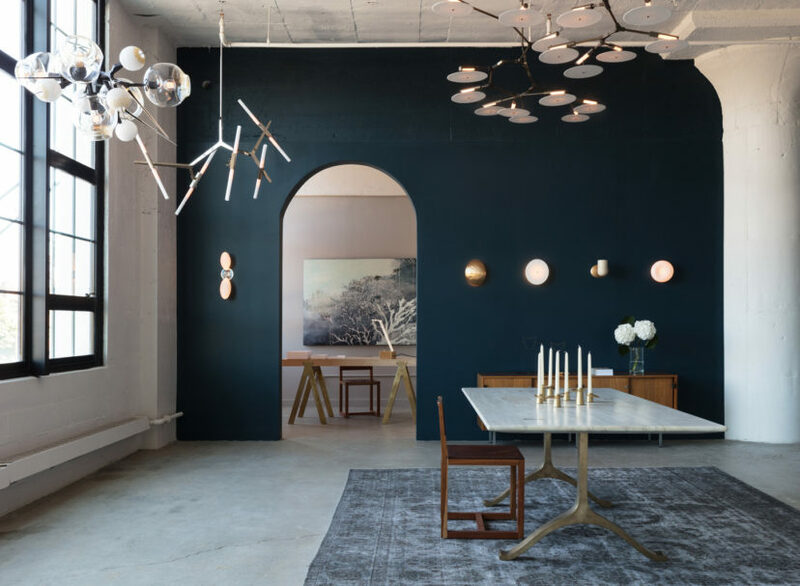 After ICFF, Vonnegut/Kraft began showing at the brand new Colony showroom located right by the recently shuttered Pearl Paints on Canal Street. The co-operative showroom features young emerging designers. Brian and Katrina rotate pieces in and out of their space at the Colony showroom. 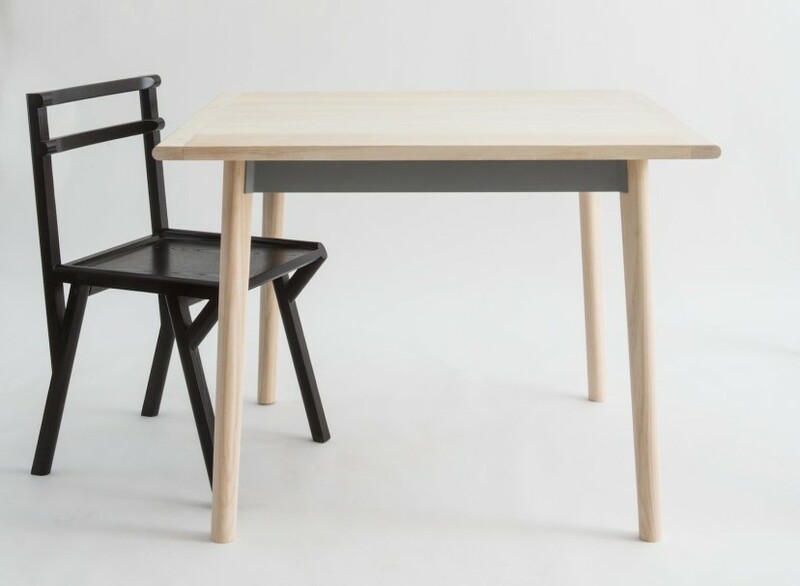 They have come to learn that furniture design is not as seasonal as something like fashion and there isn’t the same turnover. Thus their concept of what comprises their collection has a longer arc, which is fine tuned as they add and subtract pieces from it. One imminent update to the collection will be a new version of the lauded daybed, soon be move into the Colony space. Katrina’s work with textiles and jewelry predates her relationship with Brian, but she says that she sees all her design work, as “part of the same family”; the only reason her textile machines aren’t in their studio yet is because they need to be protected from the pervading sawdust. Brian and Katrina recently moved from a shared shop space in Bushwick to their own space in Sunset park, the neighborhood where they now live as well. Katrina claims, and Brian immediately agreed, that since they’ve had a shop space to themselves, their “design aesthetic has evolved. We work a lot better when we’re a little bit isolated and have the space to explore things on our own.” The shop is bathed in light, just messy enough to reflect their business, and out the window, water from New York Bay sparkles.